Learn all about Old School Runescape with host Angelika Lee and Grand Rapids comedy legend Michael Bussler. Find out more about The Comedy Project. Join host Angelika Lee and this week’s guest Katie Fahey in a special extended length conversation. Katie started the movement Voters Not Politicians that has worked to get anti-gerrymandering Proposition 2 on the ballot November 6th. Katie also co-founded the Grand Rapids Improv Festival whose 2018 run starts on Thursday, November 1st with a pub crawl. You’ll learn a lot in this episode! Join host Angelika Lee and this week’s guest Dany Redwine in an hour long conversation. Follow Dany Redwine’s Twitter and Instagram. You can find out more about Dany Redwine in this short film. Join host Angelika Lee and this week’s guest Gerrit Elzgina in an hour long conversation and learn about the lost art of mix tapes. You can see more of Gerrit by going to a show at Dr. Grins, catch him on The Kerrit Podcast, and if you like movies also check out Gerrit on This Better Be Good! 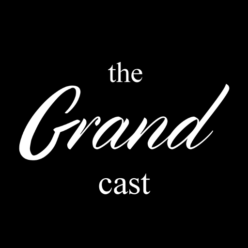 In this special episode you’ll hear an apology, a retraction, an interview with Bobby Phillips and Sarah Wenger, and then the announcement of who the host will be for season 6 of The Grand Cast! Tim “ttypes” Krauss is the guest in this week’s episode of “The Grand Cast”. Part 1 of 2. Part 2 is here.